As businesses, we all want to rank on the first page of Google. While it has become clear with live Penguin updates and the constantly evolving Google algorithm that content marketing is not going away any time soon, the question continues is: what kind of content is best for 2017? When creating your content, you need to consider the searcher’s intent. They’re looking for information, yes, but what kind of information? There are three types of Internet searchers – streakers, strollers, and studiers – and each is looking for something different. Streakers: These are the rapid searchers for whom featured snippets were created. They are online for navigation, quick answers, and sometimes just plain curiosity. They dart from website to website until they get the answer they are looking for, but rarely stay on one page long. Your goal should be not only to answer the streakers’ questions, but to provide content that engages them enough to turn them into a stroller. Strollers: These are casual searchers, strolling through the Internet looking at whatever happens to catch their eye about the subject in which they are interested. Most of the time, they are looking for quick answers and definitions. They are searching out of curiosity and intrigue, and their searches often lead them to multi-threaded explorations, which may end in an entirely different place than where they began. Your goal with these users is to turn them from strollers into studiers by catching their attention with engaging content that draws them deeper into your funnel. Studiers: These searchers are ready to dive deep into a subject. If they are researching a purchase, they want detailed comparisons and thorough information. They might be motivated by curiosity and intrigue, but what they really want to do is fully understand a subject, process or product. The studier will react to content one of two ways: they will either love it or hate it. If they love it, you have a convert. If they hate it, you may never convince them to look at anything on your site again. Your goal should be to provide them with long-form white papers and detailed case studies, since they are likely to have professional and scientific interest. Fluffy content will not get or keep their attention. No one person fits into only one of these categories all the time. A person might be a streaker when shopping and just wants to locate stores or restaurants near them. A person might be a stroller when thinking about buying a new television or computer, but is still just browsing. And a person might be a studier when researching new cars or shopping around for a home loan. So it is not just the searcher’s intent, but the timing of that intent. What device are they using to search? Where are they located (home, work, school, coffee shop)? How much time do they have for their search right now? Or is this something they will save and search for later? This is content designed for the streakers. They want one answer to a question that they either typed into their mobile phone while standing in line for their venti mocha frappuccino, shouted across the room at their Echo, or typed into their laptop when they were supposed to be working or studying. So the question is: “How do we rank not only for featured snippets, but for Alexa and Google Home?” The reason? While a web search or even a mobile search might return multiple answers, Google Home and Alexa respond with a single answer to a spoken question. When Google Home responds to your voice-activated query, it includes an attribution. For example, “According to Wikipedia….” So how do you get to be number one, above Google’s own knowledge base, Wikipedia, and other authoritative sites? When is the next brewfest in Boise? These are all answers that a business could rank for and, of course, in some cases they are easier to rank for than others. Figure Out the Best Answer: For instance, a brewery could potentially rank for question number one, but so could an event calendar or news outlet, depending on who Google thought had the best answer. The answer to question number two might involve two parts. The first factor would be the location of the person asking the question (clearly something out of your control), and the second factor would be reviews and your Google rank in that category. For instance, if a shop was .2 miles further away from the person making the query but had a five-star rating compared to your three-star review, they might show up first – or the in case of voice responses, they might be the only answer. The same is true of the third question. The ranking of math tutors, along with their location, would play the biggest role, depending on whether the person is querying on a mobile device or a “Home” device. But voice search is not just limited to Siri or Google (on Android phones). This year at the Consumer Electronics Show, Amazon was talking about Alexa in everything. While hardware like the Echo is important, probably more so is the adoption and development of the technology for use by other apps and devices, one of the reasons that Amazon has opened it up. Apple is doing the same thing – collaborating with auto manufacturers and other industries to introduce Siri to the masses. These single verbal answers to queries will get even more common as dependence on services like Alexa, Siri, Google, and Microsoft’s Cortana to answer spoken questions becomes more common. Get to Work: So how do you get to be number one? Getting on the first page of Google is doable, but as in any other search, ranking #1 is hard to guarantee. However, by using SEO best practices you can certainly increase your chances. Assess your current search rankings. Before you make a plan to go somewhere, it is a good idea to know where you are. Track the right metrics. Track your organic traffic and organic traffic conversions. Other traffic methods are fine, too, but these two are the most important. Set up an SEO dashboard of some sort to track these metrics. Analyze your backlinks. Get unhealthy ones removed. If your site was around before 2012, you probably have some bad links to your site. You can remove these by contacting the site linking to website and asking that the link be removed, or using the Google disavow links tool. Analyze your competition. If you want to be number one, you are going to have to beat your competition, which means that you’ll need to look at what they are doing. Use a meta-tag analyzer, which lets the search engines know what the topic of your web pages are as well as what text to display in the SERPs. Diversify anchor text. 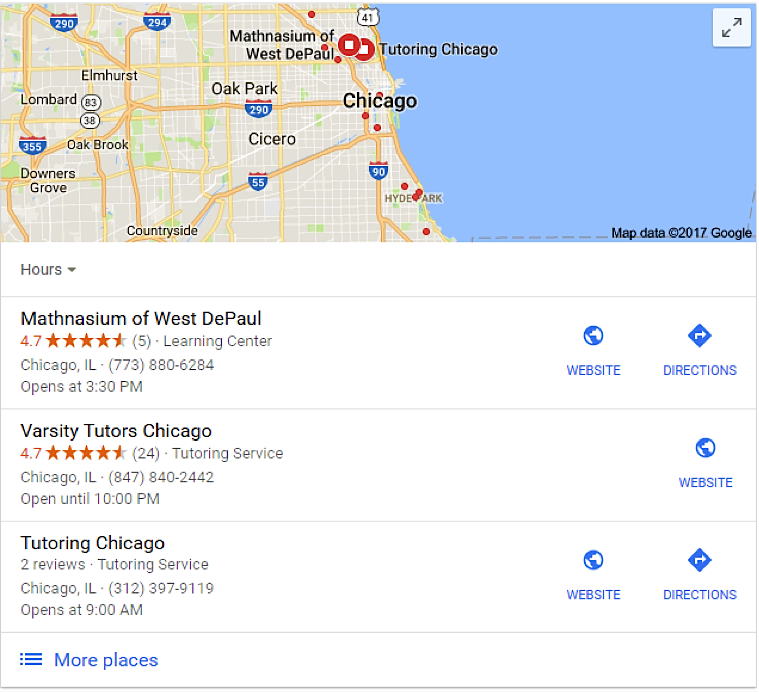 Due to Google’s new updates, exact match anchor text no longer works well. For a healthy link profile, you will need diverse anchor text. Avoid over-optimization. This does not work well to increase your rankings. Your content and your definitions and answers to questions should be natural. Perform good keyword research. What are the keywords in the questions that your users are asking? How about the long-tail queries? Target the questions, keywords, and long-tail queries with great content. Create brief but quality answers to the question for which you want to rank. These are just a few of the steps needed to rank in Google without being penalized. While Matt Cutts and Google have made no direct statements, it’s a sure bet that any attempt to game the system to rank for featured snippets will not only be detected by Google, but will also incur penalties. Be aware that if you are using tables or other tabulated data, these will do well for ranking in featured snippets. 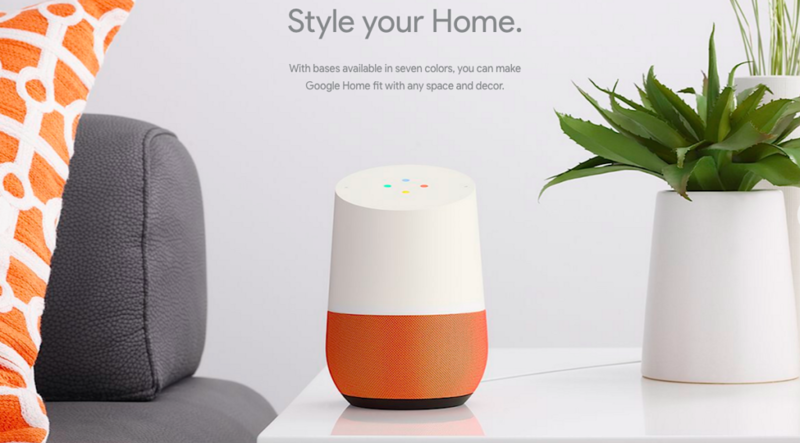 However, as of this writing Google Home is not capable of reading those tables, so it will either return no results or provide the user with a disjointed and confusing answer. Also, there does seem to be a word limit on Google Home answers, but we are not sure yet what it is. Hopefully those statistics and more will become available for Home, Alexa, and the still-catching-up Siri and Cortana. Visuals are always a good idea, and while I am not a huge fan of infographics, posts that include photos and videos have the ability to satisfy nearly all searcher types. 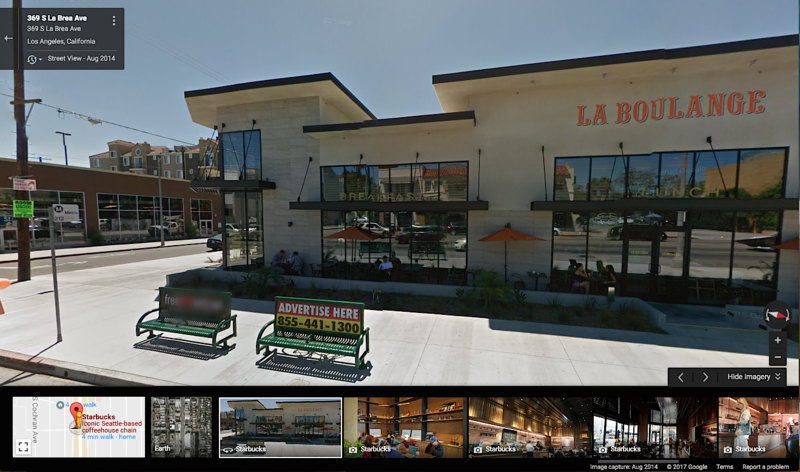 A photo of the outside of your business or a Google 360 video tour of the interior will satisfy the streaker – and might even turn them into a stroller. If they are looking for navigation, at least they will have a visual of your building when they arrive. This 360 Video of the Grand Canyon is another great example of providing a sample of the experience. Even longer-form video works well for studiers. Thorough webinars, longer instructional videos, and video seminars that delve into a subject will keep them engaged and coming back for more. If content is king, then the user is queen – and with equal reigning power, she is not to be neglected. Users will always be looking for information contained in articles, both long- and short-form. So how do you relate this to the three types of Internet users and use it to move them down the marketing funnel? It lets them know if the subject really does matter to them. The streaker may have clicked on the headline out of curiosity because it was well written, but your first paragraph should tell them if their initial assumption of interest was accurate. It is better for them to bounce quickly rather than to be angry at the end of the article when they find out that it’s unrelated to their search. It grabs their interest. You are showing the reader in your first few sentences that you can relate to them and their needs, which is the reason they have landed on your site in the first place. This is where you show them that you can communicate clearly and you have something worthwhile to say. Remember that you are building trust with your readers by having good content, and that starts with a clear, eye-catching title and a stellar introduction. Be accurate. Your content at this point must be accurate, especially for the studiers. Often yours is not the first website they have visited to study the topic you are discussing, and they are probably checking facts from several sources. Be sure you have done the same. Write well. If you cannot write well and you do not have talented writers on your staff, hire a professional writer. There are plenty of writers eager to write for you and a good one can take even the driest material and create something much more engaging and readable. Studiers especially abhor poor writing, so don’t lose conversions for this reason. Edit please. An error online will get you attention, but not the kind you want. Please have someone look over your work or at least use a program like Grammarly. This is another task you can hire freelancers to do for you if you do not have staff with the right skills: pennies per word can save you much embarrassment. Long- and short-form articles still rule and though they primarily attract strollers and studiers, they are an opportunity to organically engage users and increase rankings. 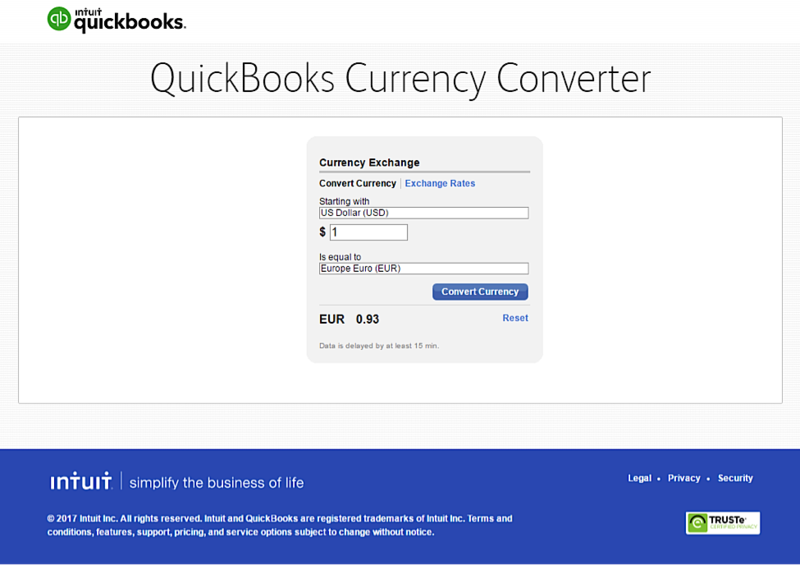 One of the best examples of an interactive tool is the currency converter offered by Quickbooks. It’s tangentially related to their bookkeeping product, but is really useful for those traveling abroad or planning to. It’s a common tool that catches the attention of streakers in need of information, but also provides a great opportunity for better brand recognition. It is branded. The page clearly indicates who created the converter and the website where it resides. There is no surrounding text. This is a simple tool with no distracting text or marketing blurb around it. It is a valuable but free resource. You do not have to be a QuickBooks user to use the tool, nor do you have to sign up for a newsletter or give the site any information, and there are no annoying pop-ups. It is not embeddable. You can’t take this tool and use it on your own web page. You must return to QuickBooks to do so. So although you may link to it, this creates more organic traffic for this page itself. The UX is great. This tool is simple, performs one function, and is intuitive to any user who visits the page. The streaker will simply remember that he was able to use a free tool at QuickBooks, probably return to use it again, and maybe even look around your website to see what else you have to offer, thereby turning into a stroller. This is one of the ways you can invoke the rule of reciprocity: if you give users something for free, they will be much more inclined to pay you for a service later. The stroller may immediately look around for other tools or articles related to currency conversion and foreign travel. Provided that you have content related to the tool, he could turn into a studier. The studier may discover an interactive tool as part of a multi-website search, and stay for more of your site content, turning into a fan – as long as your other content also proves useful. A variety of similar interactive tools can be created for your industry. Real estate agents can provide mortgage calculators, investment sites can provide investment and return calculators, and so on. Almost any site can benefit from adding interactive tools that will attract site visitors and keep them coming back often to use them. Every time they do, it’s an opportunity to offer more services and move the user toward conversion. One of the best ways to get studiers to respect your content (and come back for more) is to have long-form, well-researched and formal academic content on your site. The studiers will use this material, but other users will take comfort in the fact that you have academic data to back up the expert you claim to be on your website. Make sure the academic content backs up one crucial part of your website: the why behind what you do. As Simon Sinek explains in his TED Talk “Start with Why,” people trust you and buy from you because of why you do what you do, not what you do (i.e. sell products). Research that backs up the fact that your product or service works well is important, but more so is the research that not only addresses the pain points you solve, but lines up with why you feel you are the best solution to help your customer overcome them. Three types of searchers – streakers, strollers, and studiers – are looking for valuable content on the web, and by providing exactly the result they are seeking, you can turn them from searchers into customers. But to do this, you must understand who they are and the intent behind their search. 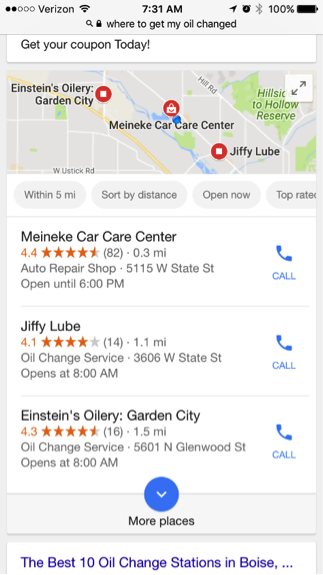 Once you understand the intent behind their search you can provide them with the kind of content that they need to be satisfied – from featured snippets, to photos and video, to long- or short-form articles, to interactive tools, to academic content. Having a content marketing plan with specific goals on what you want to rank for can ensure that you will be taking advantage of the fact that despite the way that search is changing, content is still king.